ANABOLIC STATE™ contains 10 grams of the purest muscular building blocks on the market, including micronized BCAAs, which absorb directly into your bloodstream and work to stimulate protein synthesis and regenerate muscle tissue immediately following consumption. * What really sets ANABOLIC STATE™apart though, is it’s key ingredient, HICA. In clinical trials, this high-tech Leucine metabolite has been suggested to increase lean muscle gains in athletes by triple compared to a control group. * With HICA powering the core of this precision matrix, you have the potential for unreal muscle growth and definition. Branched Chain Amino Acids are a critical component to any precision training strategy and ANABOLIC STATE™ spares no benefits in harnessing their power. L-Leucine, L-Valine, L-Lysine, and other premium BCAAs function as potent anti-catabolic agents, reducing muscle tissue breakdown. * By preserving more of your existing muscle fibers, these clinically validated muscle catalysts allow you to train proactively towards huge gains in lean, defined muscle mass. ANABOLIC STATE™ is precisely designed to accelerate muscle recovery time and reduce delayed onset muscle soreness (DOMS). Our formula harnesses the power of ultra-micronized, pharmaceutical grade BCAAs, which exert an anti-catabolic effect on muscle tissues. It has been clinically suggested that the right combination of BCAAs will reduce the amount of muscle tissue breakdown during training. This reduction minimizes the release of myoglobin and elastase (muscle damage signallers) post-workout, which helps reduce muscle soreness and support a strong immune system. * Put this all together, and you support a decrease in recovery time, with absolutely no waiting. ANABOLIC STATE™ utilizes the latest in muscle building technology, including the powerful, clinically tested anabolic catalyst “HICA” and the purest BCAAs on the market. These potent actives are precisely designed to work synergistically with your regular protein supplementation to sustain existing muscle and stimulate new growth for total anabolic dominance. * Ready to take your physique to a new level? 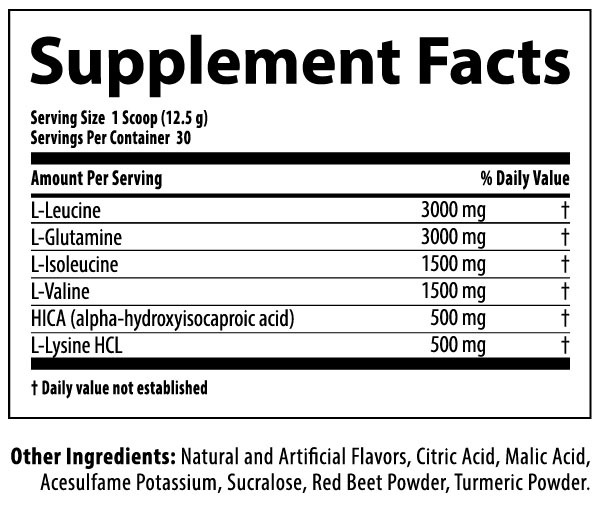 Alpha Hydroxyisocaprioc Acid or "HICA" is a biological pre-cursor to the BCAA L-Leucine. In one clinical study several professional athletes were divided into experimental and control groups. The control group was given a placebo while the experimental group was given 1.5g of HICA per day. After 1 month the experiemental group experienced triple the gains in lean mass compared to the control group. Branched Chain Amino Acids (BCAAs) are essential amino acids that comprise over 30% of your body's skeletal muscle tissue, and are densely packed with critical biological factors that your body needs to function and build muscle. * When you train your body uses these BCAAs as critical muscle-building components. In fact, they are so critical that if you do not have enough free available BCAAs in your system, your body will end up consuming them from its next available source - your hard-earned muscles! What makes BCAAs even more amazing is that they are digested directly in your muscle tissues - they do not need to be broken down by your stomach because they are already refined to their purest form. This means that as soon as you consume a shaker of ANABOLIC STATE,™ it’s various BCAAs and HICA will start going to work for your muscles. They perform various tasks including stimulating Growth Hormone (GH) production, preventing catabolism, and extending muscular endurance. The primary benefit of a BCAA supplement like ANABOLIC STATE™ is how fast it works. 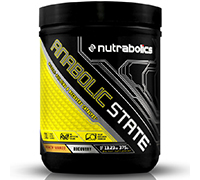 Containing only the purest in micronized BCAAs, ANABOLIC STATE™ is scientifically designed for easy dissolution and rapid absorption - racing through your bloodstream and hungry tissues in minutes. By comparison, dietary protein takes hours to digest and can leave you feeling weighed down by a meal with no guarantee that your muscles are getting nourishment when they need them the most. ANABOLIC STATE™ aslo contains unique amino acids like the BCAAs L-isoleucine and L-valine - which your body cannot manufacture on its own, or the powerful muscle-building Leucine Metabolite, HICA. These critical elements help ensure that your body is primed to be in an anabolic state and remain that way longer - above and beyond the effects of basic protein supplementation. No. Unused BCAAs will simply be converted into other amino acids if they are not used immediately upon absorption. If you consume BCAAs before, during, or after a workout session, your body immediately begins utilizing them to support protein synthesis. SUGGESTED USE: As a dietary supplement, mix 1 scoop in 2 cups (473mL) of water and shake well. Consume 1 serving 30 minutes prior to training. For maximum results consume a second serving during training or immediately post-workout.